What I wanted to do and what I needed to do was something entirely different, and through reading Roussel I learned that I could do what I wanted all on my own and that I didn't have to rely on what had actually happened in my somewhat limited life and reading. 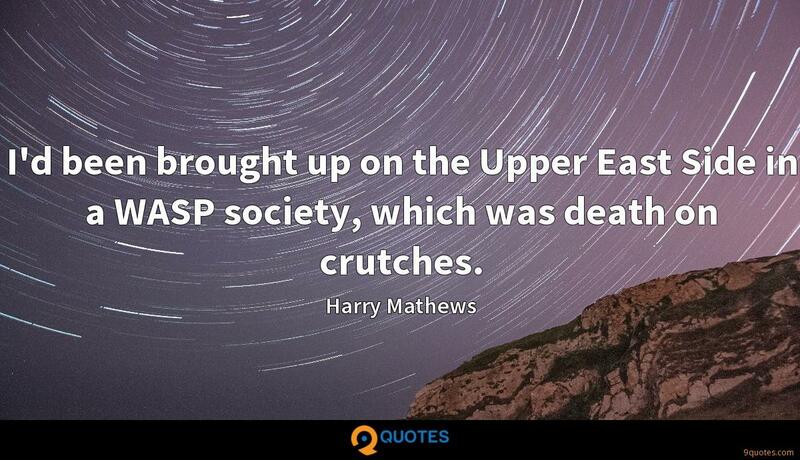 Harry Mathews Quotes. 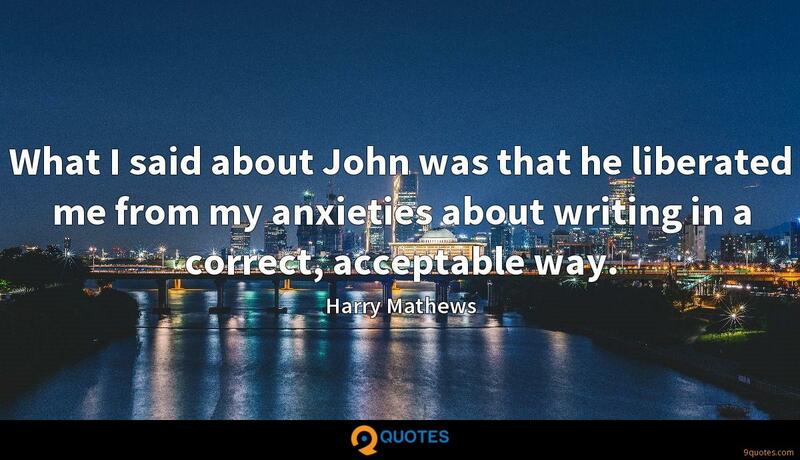 9quotes.com, 2018. http://www.9quotes.com/quote/harry-mathews-122032, accessed 25 April, 2019. 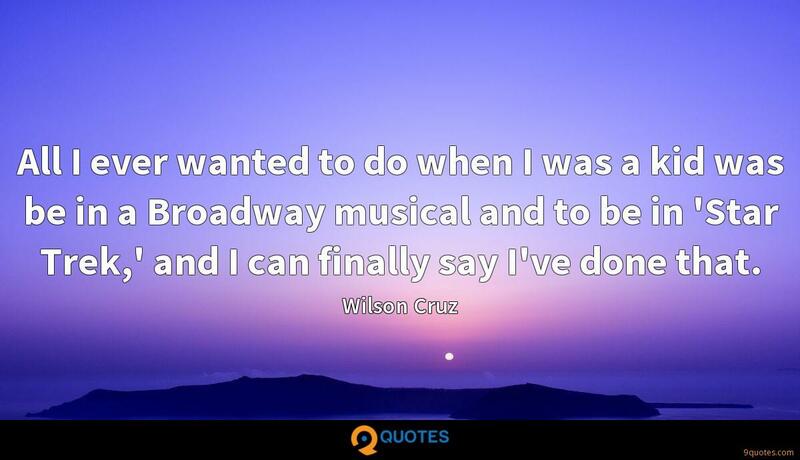 All I ever wanted to do when I was a kid was be in a Broadway musical and to be in 'Star Trek,' and I can finally say I've done that. 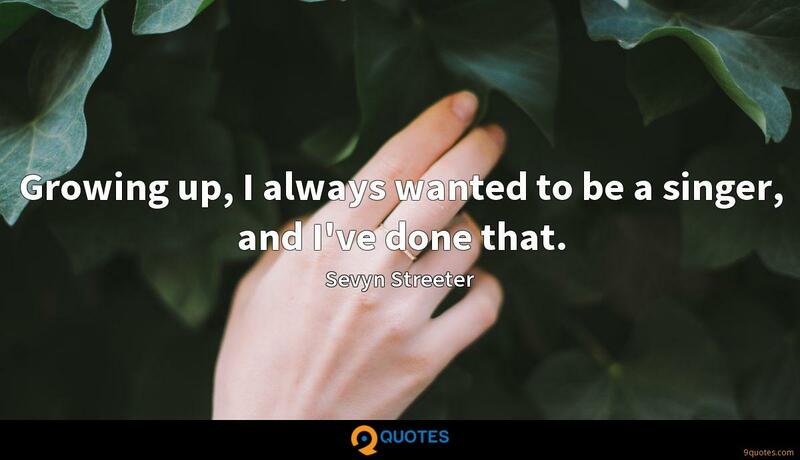 Growing up, I always wanted to be a singer, and I've done that. 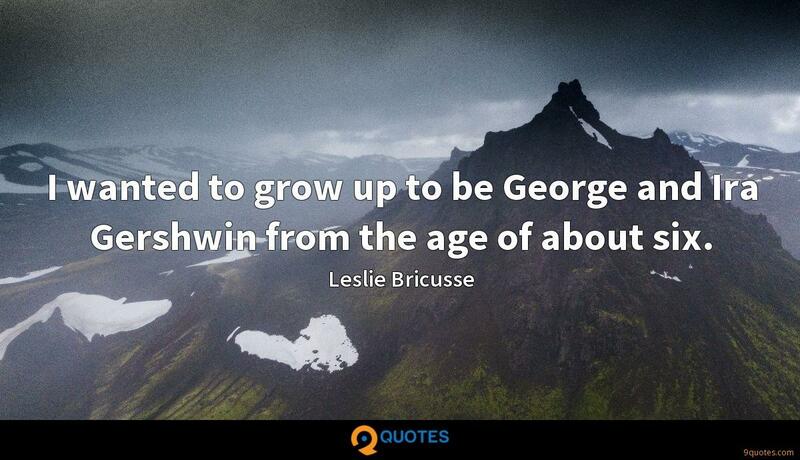 I wanted to grow up to be George and Ira Gershwin from the age of about six. I'd been brought up on the Upper East Side in a WASP society, which was death on crutches. My dream, I remember, when I went to boarding school, was to have a study all my own, a little nook someplace where nobody could get at me - nobody, like the football coach. 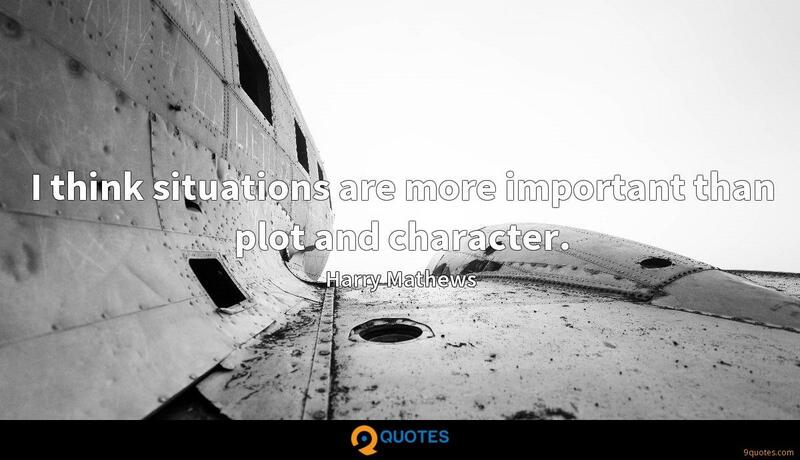 I think situations are more important than plot and character.